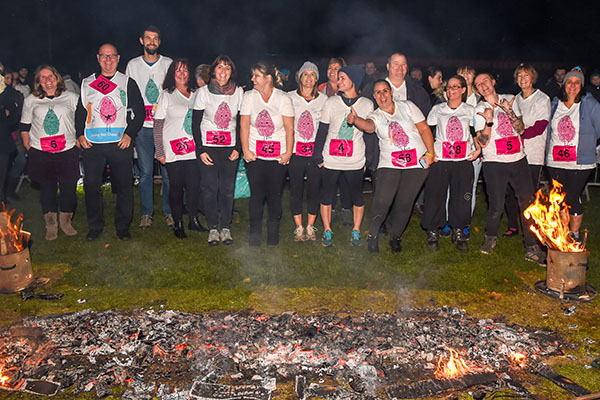 On a crisp and cold Saturday evening, fearless folk brought their warmth and bravery to Guildford’s Stoke Park to take part in a walk with a difference the 2018 Fire Walk – raising a scorching £21,299! 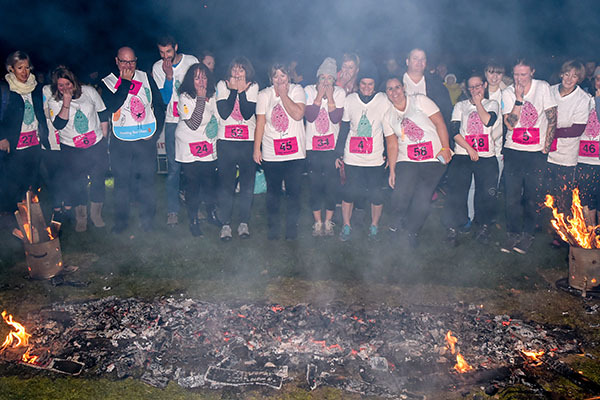 Over 50 brave ‘soles’ came together to walk over burning embers for Shooting Star Chase, raising thousands for the babies, children and young people, and their families who are facing the most unimaginable circumstances. 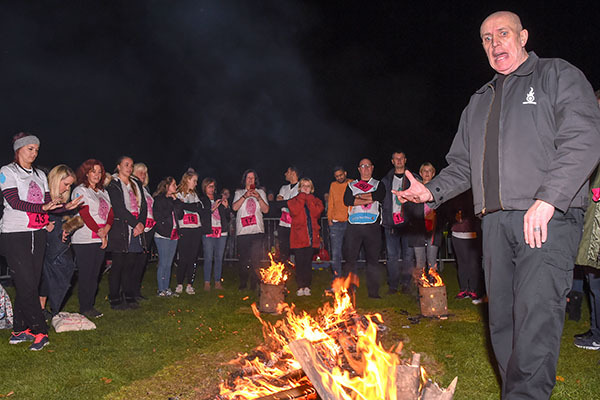 Before the daring walkers put their best foot forward, they were given a full briefing on the challenge ahead by Cliff Mann from Time 4 Change, who explained the history of fire walking, how to mentally prepare and most importantly how to do it correctly! Cliff and his team then made the final preparations to the fire, including measuring the temperature, before they themselves walked across to show exactly how it’s done. 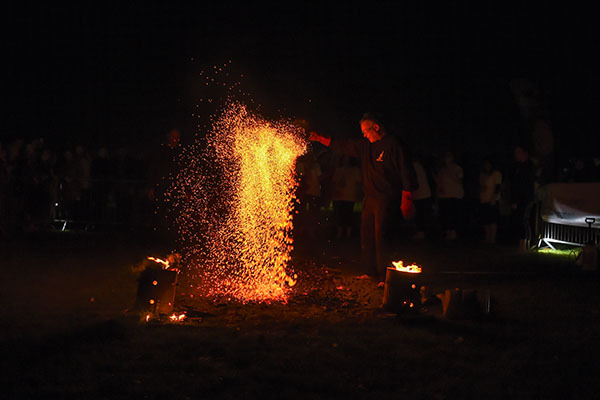 It was then the turn of the fire walkers who stepped forward to take on the heat. 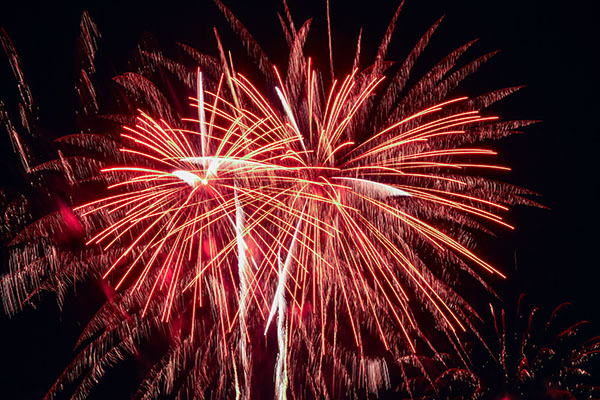 After their triumphant walk, the participants were presented with a bespoke Shooting Star Chase Fire Walk 2018 medal before having a chance to celebrate and enjoy the annual Guildford Lion Fireworks Fiesta with friends and family. The event has raised £21,299 to date which will help Shooting Star Chase support and care for families practically and emotionally across London and Surrey. We’ve got even more fantastic images from the event on our Facebook, so do go have a look and don’t forget to tag yourself! 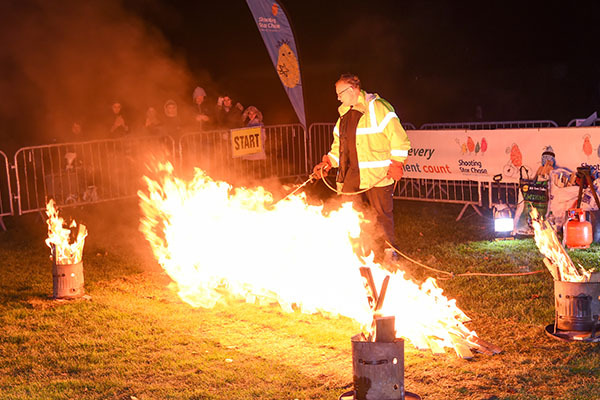 If this has fuelled your fire why not register your interest for Fire Walk 2019! 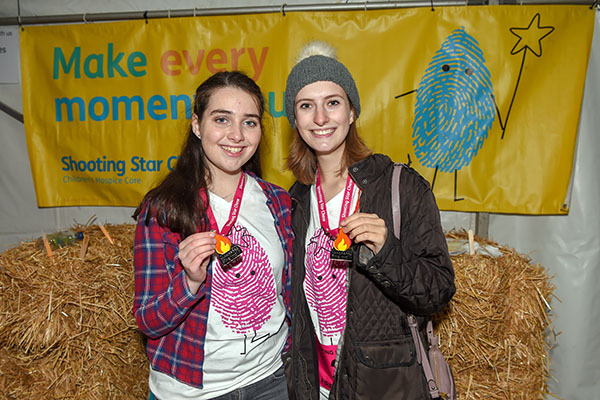 And if you have a burning desire to take on a challenge in aid of Shooting Star Chase why not visit our Challenge Events page to find out more!